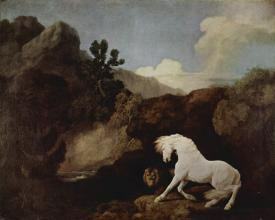 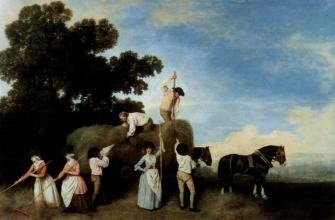 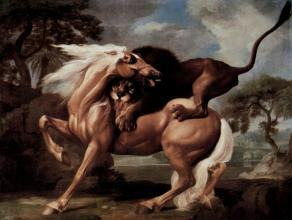 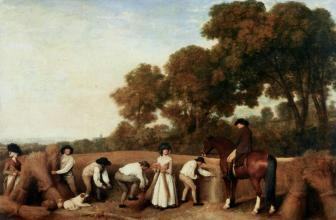 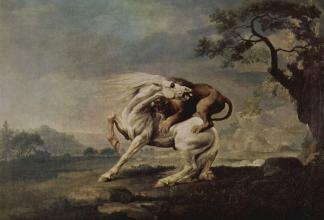 George Stubbs (born in Liverpool on August 25, 1724 – died in London July 10, 1806) was a British painter, best known for his paintings of horses. 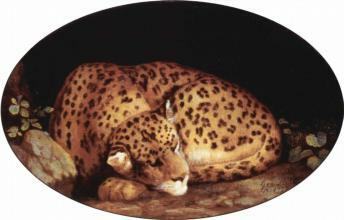 Stubbs was the son of a currier. 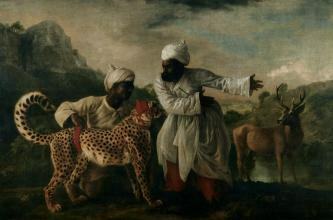 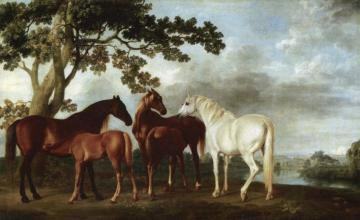 Information on his life up to age thirty-five is sparse, relying almost entirely on notes made by fellow artist Ozias Humphry towards the end of Stubbs's life. 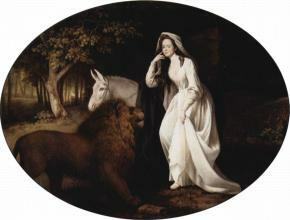 Stubbs was briefly apprenticed to a Lancashire painter and engraver named Hamlet Winstanley, but soon left as he objected to the work of copying to which he was set. 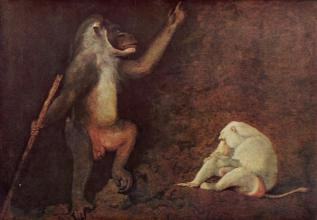 Thereafter as an artist he was self-taught. 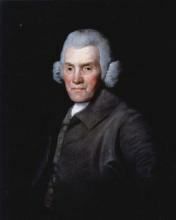 In the 1740s he worked as a portrait painter in the North of England and from about 1745 to 1751 he studied human anatomy at York County Hospital. 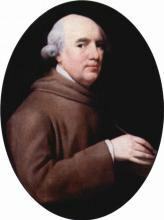 He had had a passion for anatomy from his childhood, and one of his earliest surviving works is a set of illustrations for a textbook on midwifery which was published in 1751. 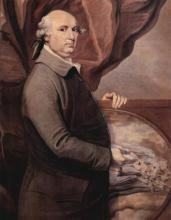 In 1755 Stubbs visited Italy. 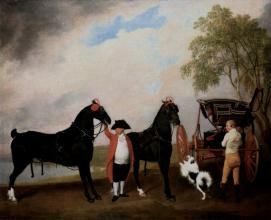 Forty years later he told Ozias Humphry that his motive for going to Italy was, "to convince himself that nature was and is always superior to art whether Greek or Roman, and having renewed this conviction he immediately resolved upon returning home". 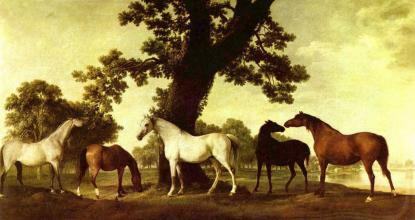 Later in the 1750s he rented a farmhouse in Lincolnshire and spent 18 months dissecting horses. 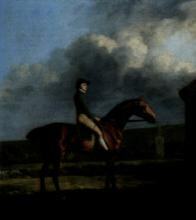 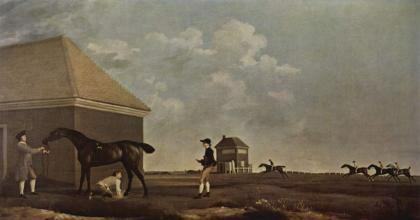 He moved to London in about 1759 and in 1766 published The anatomy of the Horse. 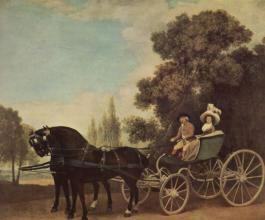 The original drawings are now in the collection of the Royal Academy. 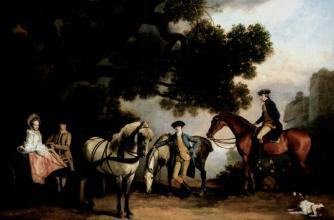 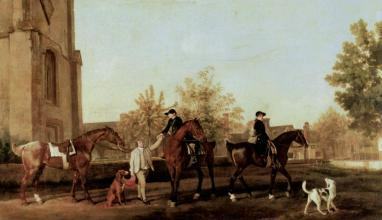 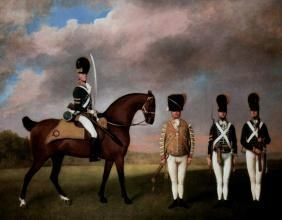 Even before his book was published, Stubbs's drawings were seen by leading aristocratic patrons, who recognised that his work was more accurate than that of earlier horse painters such as James Seymour and John Wootton. 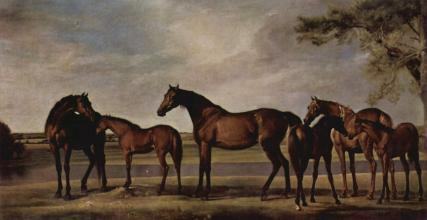 In 1759 the 3rd Duke of Richmond commissioned three large pictures from him, and his career was soon secure. 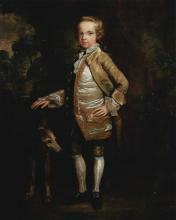 By 1763 he had produced works for several more dukes and other lords and was able to buy a house in Marylebone, a fashionable part of London, where he lived for the rest of his life.